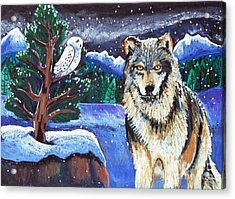 Snowy Night Wolf is a painting by Harriet Peck Taylor which was uploaded on January 13th, 2010. 30.000 x 21.000 x 1.000 cm. In the eyes of a wolf, I see the essence of wild. I've seen them in Yellowstone and Alaska and in my dreams they bound across a vast and frozen landscape. 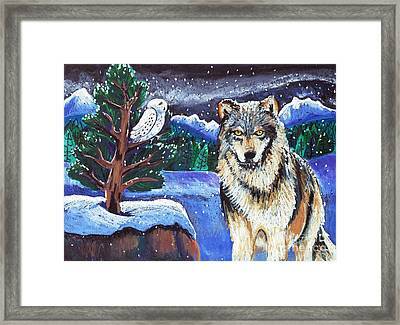 Thank you so much, Dora for featuring my wolf pastel in your Winter Wonderland Group! I am so happy to have a group that depicts the beauty of winter. 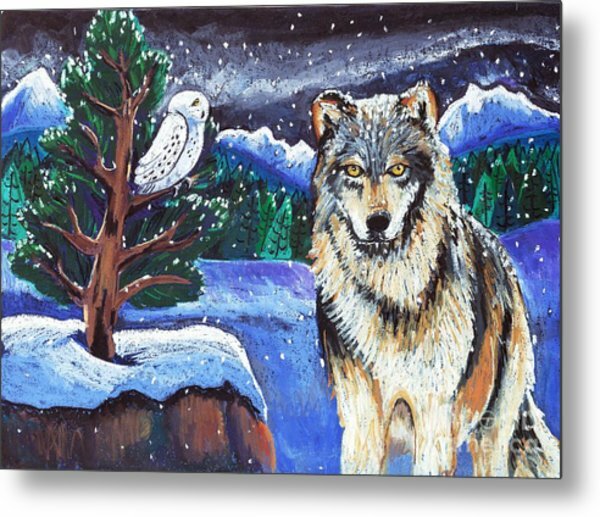 Harriet, I really like your wolves! This one so captures the cold and the dark, and I love the whimsical owl looking on from the tree. Like. Thank you Anne. It is hard to remember winter right now as summer is in full bloom! 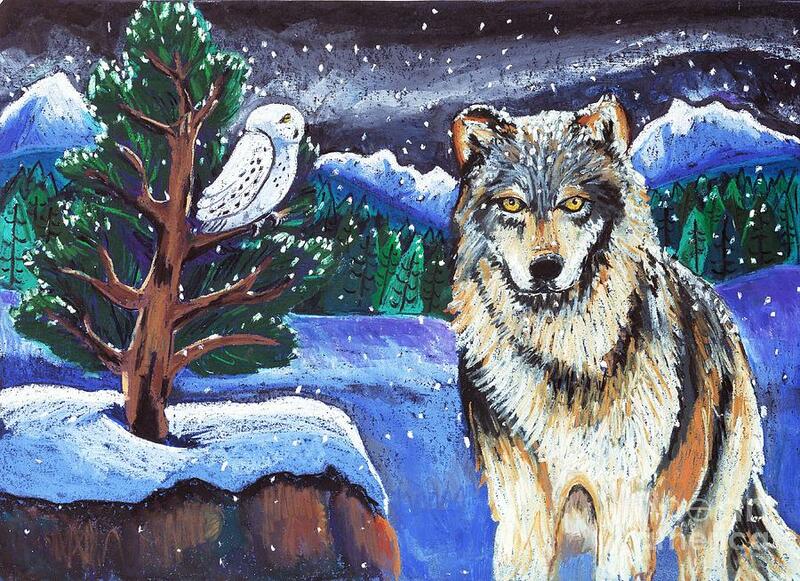 Thank you so much, Christine, for featuring this wolf pastel in your group Wolves.